You like to live on the edge of urban animal husbandry. No domesticated felines or canines for you. It's all ferrets, dingoes and boa constrictors in your often-raided abode. But even those species of barely tame fauna aren't enough. You want to laugh in extinction's face. You need… dinosaurs. One of the weirder games in this week's Nintendo eShop is 101 DinoPets 3D, which lets you dress up, pet and totally otherwise humiliate these once proud alpha predators. Yes, you can play fetch with a stegosaurus in his downloadable game. But you better hope that he doesn't remember what he once was and try to maul you to bits. Speaking of animals living counter to their instincts, how about that Hello Kitty, huh? 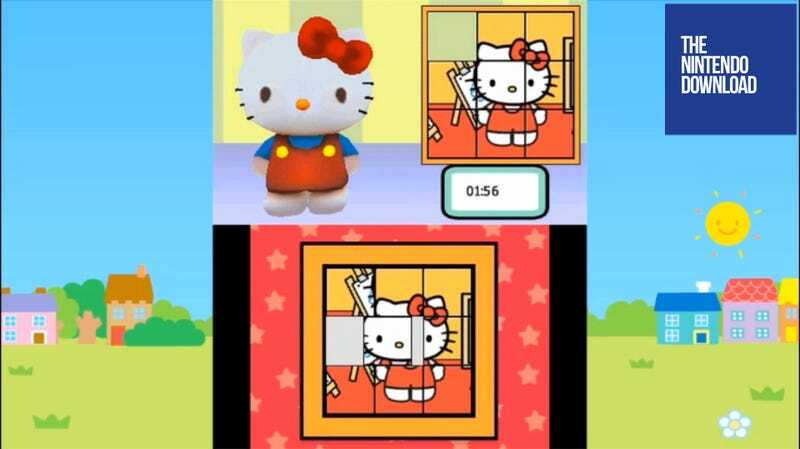 The iconic Sanrio character has always seemed like a walking mass of contradictions. A housecat that owns a home, goes swimming and is friends with a dog. Hello Kitty Picnic gathers a bunch of these ‘toons together and has them eat outside in nature, the way God intended. And, hey, it sure looks like someone's trying to hustle Tuxedo Sam at 0:33 in the trailer. The ol' Shell Game… a classic.